We got Magic from Coastal German Shepherd Rescue in 2006. At the time we already had one dog and four cats. He, from day one, was always tolerant and gentle with the cats. Magic was so loving and kind. Thank you again for your thoughtful service. Dear Dr. Annie and Dr. Julie, I am so thankful for the wonderful service you provided for my Annie B. Dr. Julie was so kind and empathic to my family, myself and especially to my Annie who was one of the great loves of my life. I have never been through this before and I am so glad that I chose to have Annie transition peacefully in the comfort of our home. Annie B. was an almost white lab that I brought home when she was 8 weeks old. It was just the two of us for the first few years. I remember when she was just a couple of years old I was on a medical leave for my migraines and I ended up in bed for almost 6 months. Annie was on that bed, right by my side the whole time. Dr. Annie sent out an angel, Dr. Julie Flood, to help me with my "skittery kitty". 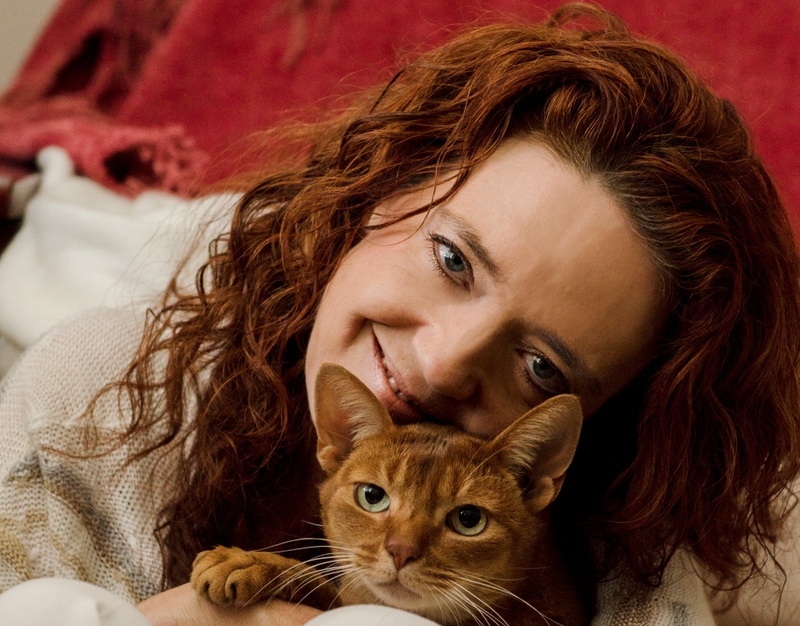 Having the ability to do in-home euthanasia made a world of difference to us both. 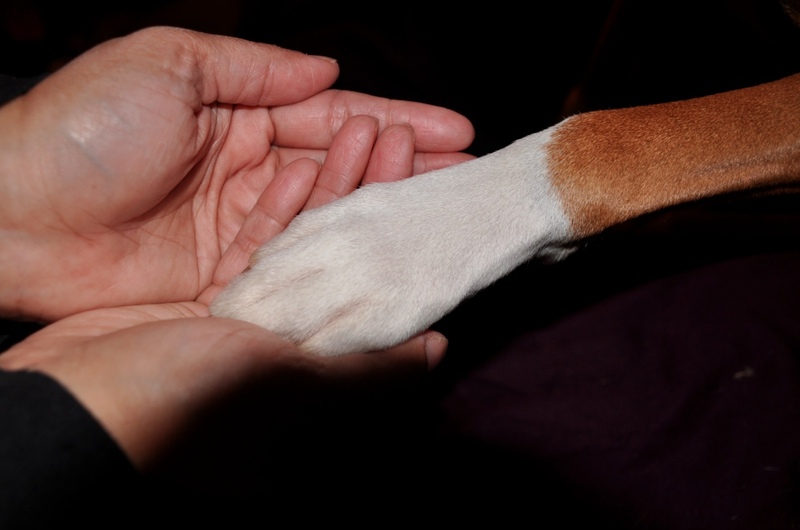 The compassion that Home Pet Euthanasia doctors and their staff showed during a very stressful time in my life will always stay with me and be so appreciated. Dr. Julie was gentle, caring, and very compassionate with both Eddie and I during this experience. I will always be greateful to Dr. Annie and Dr. Julie and staff. Eddie was extra special in that he was 3-legged and very skittish and, even though he came into our home as a kitten, he never came out for anyone but me. I will always remember the times Eddie would come up and lay on my chest for hugs and kisses. I will desperately love and miss Eddie always. Dr. Annie, I am so thankful for your wonderful service, anything less than giving her the peace and comfort of her home as she transitioned was unthinkable. I am still so sad, Sasha was one of the great loves of my life. My sweet girl Sasha was one of the great loves of my life and 13 years was not nearly enough time with her. Euthansia is defined as “a good death” - I gave my darling Sasha a good life and a good death. Sasha lived life! She loved sunbathing in her golden years…it didn’t matter, she literally smiled every time her paws hit the sand. She loved pizza crust, oreo cookies, carrots and plain pasta but more than anything she loved me, whenever, wherever, I was her person. Until we meet again my sweet girl. I love you always. Dr. Dior was so kind, empathetic, and supportive. She did not push us or rush at any point, and thoroughly explained everything with compassion. The amount of compassion that you and the staff have shown me have helped me through this journey. To know there are genuine people who truly care about my feelings has been a blessing. You are angels on earth and I can’t thank you enough for your kindness and support. In 2005, an acquaintance was going to take a 4 week old puppy to a shelter. My bleeding heart would not allow that, so I took the little puppy that fit in my hands home with me. Rosco was the light of my life; the first thing I saw when I woke up and the last thing I saw when I went to bed. I held my sweet baby boy Rosco until the end. He was my world and my heart is broken, but everyone at Home Pet Euthanasia has really helped me in my grieving. I miss you Rosco Sanchez and will always love you. Thank you for everything. The service was handled very well. I would encourage our veterinarian to continue to provide this referral as there are many people who do not know about it. It made an impossible choice manageable and acceptable and even comforting. Having Zeke at home in his own bed made the situation much more natural and it also helped to have the other two dogs there. It made easier to say goodbye and show our emotions, rather than being in the Vet's office. He was so calm and seemed ready and appreciative of giving him this gift of relief. I feel like he got the best send off and I am so pleased we used your service. 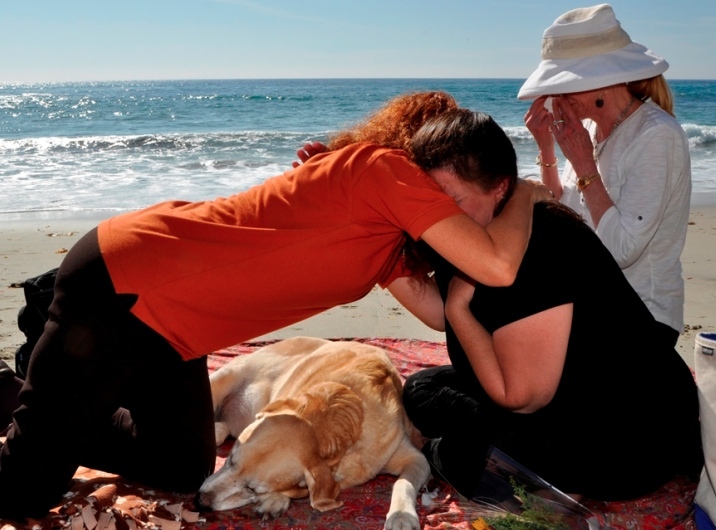 Words cannot express the gratitude I feel for Dr. Julie and Home Pet Euthanasia of SoCal. Dr. Julie honored that relationship, encouraged me to talk to and about Mike and share my memories with her. In the end, she made sure he was comfortable and able to peacefully transition in the comfort of the home he knew. I will be forever grateful for the gentle and loving care she showed us both. Mike was my constant companion for 15 years. He was with me when I purchased my first home, helped me through the death of my father and made it clear more than once, that a new boyfriend wasn’t up to his standards (and he was always right). He could drive me crazy with his stubbornness, was pouty when he didn’t get his way but more than anything, he made me laugh and feel unconditionally loved. 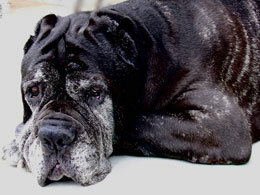 Thanks to Home Pet Euthanasia, Meadow peacefully passed away with us in her favorite spot. Although she is greatly missed, my grieving process was more bearable knowing her passing was as easy as it could be. Meadow was the most loving, sweetest little snuggle bug. She was diagnosed with small-cell lymphoma and did well on meds for a year. After a pancreatitis diagnosis, she was hospitalized for what was supposed to be day and ended up being 6 days due to complications from undiagnosed heart disease. Her heart could no longer contain all the love it held. We finally were able to take her home where she had a few days with us, but her quality of life continued to decline. We couldn't imagine bringing her back to the hospital to be euthanized. I'd like to give a big 'Thank you!' to Home Pet Euthanasia. Dr. Jenny was so kind and helpful and comforting - I am not sure I could have done it without her energy and support. She was calm and sweet and had all the comfort a mother would bring. If angels work here on earth, she's one of them. I am not sure I could have done it without the people at HPE. Their hearts are as big as our pets', and that's saying something! Scrappy was the "Marley and Me" of dogs - but from a medical standpoint. It wouldn't be right if I concluded without saying thank you to Scrappy. Thank you, for comforting me through dark times. Thank you for your snuggles and knowing eyes. Thank you for warming up my side of the bed. Thank you for teaching my daughter to be kind to animals. Thank you for your endless patience and forgiveness. Thank you for your love. You changed my life and I'll think of you, love you, and be grateful for you, forever. 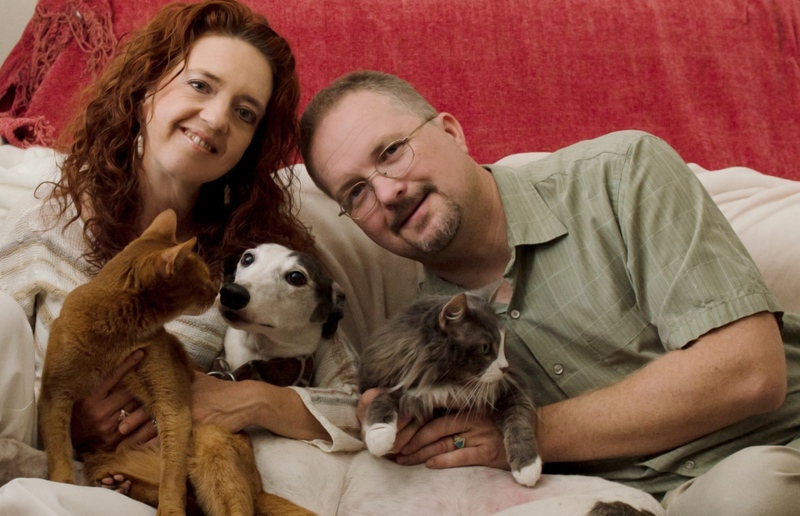 Dr. Julie of Home Pet Euthanasia was serene and kind, making a compassionate transition for Topper. He was treated with such respect and dignity, down to the delivery of his ashes directly to my home. Although the moment of his departure was extremely painful, I found such peace, relief and joy (yes—hard to believe) in the way my Topcat was able to make his exit. Dr. Meg came to our house on Thursday, March 22. She sat on the floor at Buddy’s spot with our entire family. She explained the procedure with a calmness I appreciated. She also gave us advice on how to help Buddy’s Labrador sister, Bella, deal with the loss as well. She was concerned for all of us. Buddy spent the first five years of his life neglected and unwanted, until he found his family, who wanted and loved him so deeply. He was our boy. Ours. Ours. We would have done anything to prolong his life, because the pain of a life without Buddy is unbearable. However, we had to think of Buddy first. As much we hurt now, we know it is because we loved deeply. Home Pet Euthanasia helped us give Buddy one final gift. We were able to trade his suffering for ours, and Buddy was so worth it. We love you, Buddy Wade. You will forever be our boy. Dr. Julie was professional, caring, sympathetic and patient. Cody was very relaxed. He went peacefully with his head on my lap, looking into my husband's eyes. We miss him, but our hearts are not breaking. Thanks to you and the service and people you provide. Jasmine came into our lives in the fall of 2008. We first met her at the Orange County Animal Shelter and almost immediately we fell in love with her. Since we brought her home she was the sweetest most loving girl giving us kisses and love constantly. She loved going for walks and visiting the local dog park. She would love to snuggle up to one of us and lay accross our legs to the point of immobility due to her size. I can't express how much I appreciate your services. You and your staff have been nothing but amazing through all this and I want to say THANK YOU from the bottom of our hearts. I am so glad I came across your website. Roxy was part of our family for 12 years and it was heartbreaking having to make the tough decision to put her down, but with your strength and kindness I was able to make this decision at peace. I can sense your love for animals and the kindness in your heart.